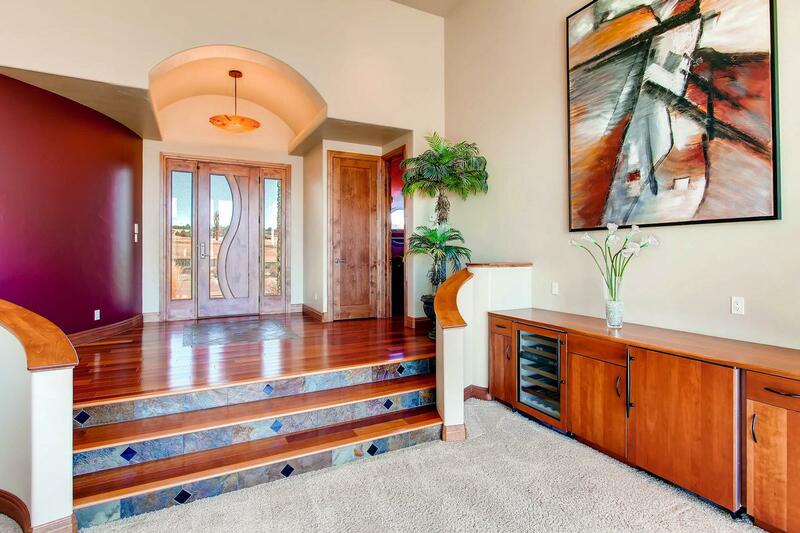 WOW HOME! 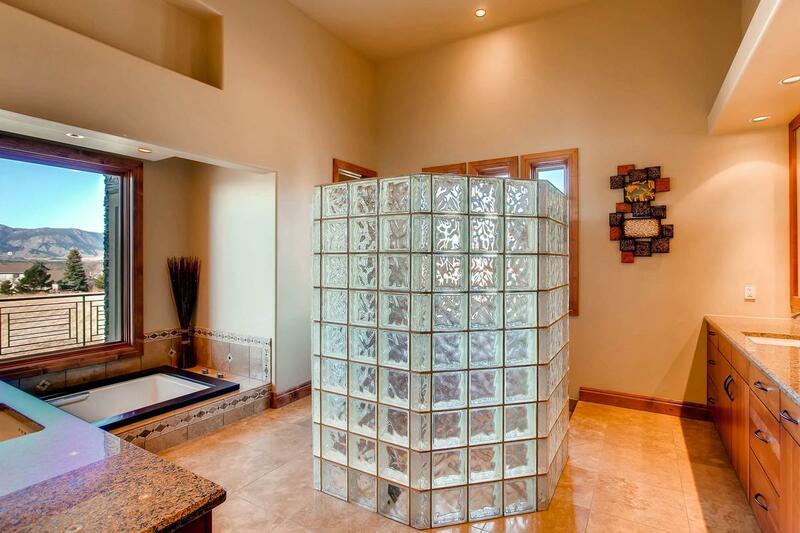 Incredible modern design with all of the high-end finishes, walls of glass. 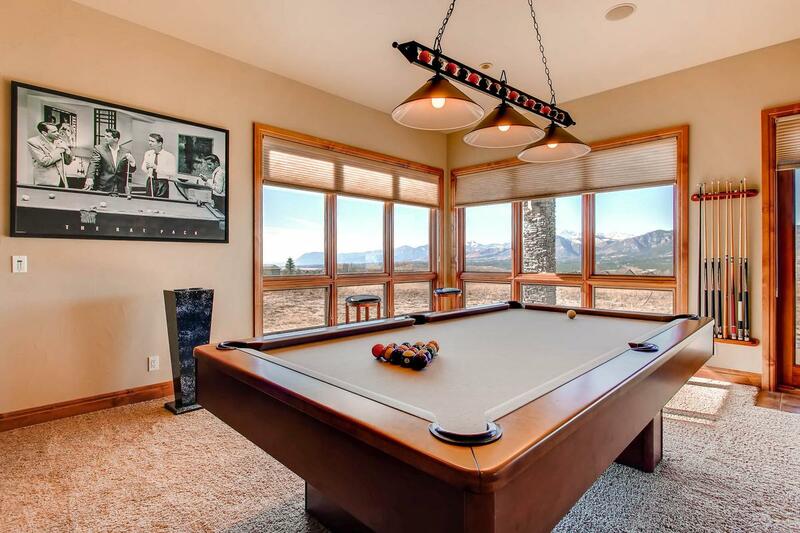 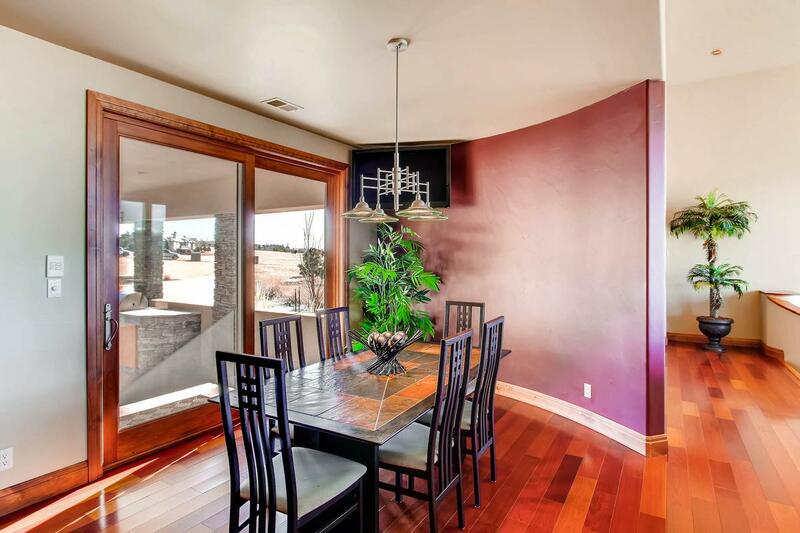 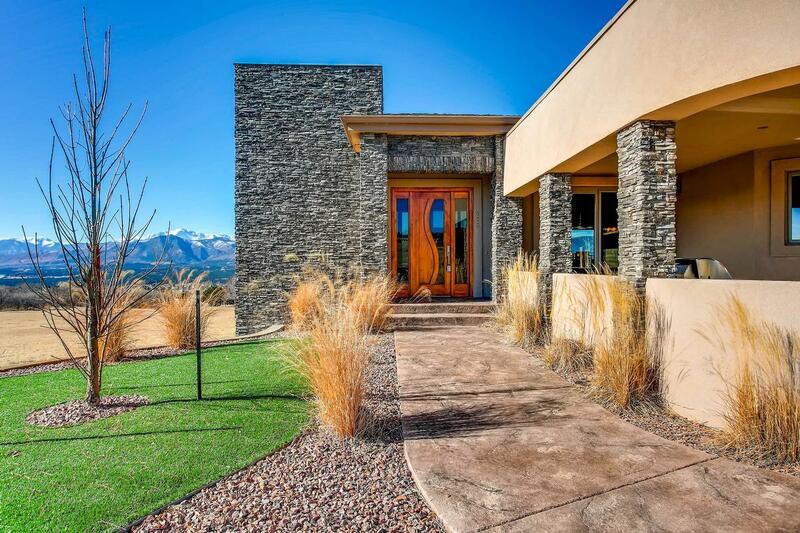 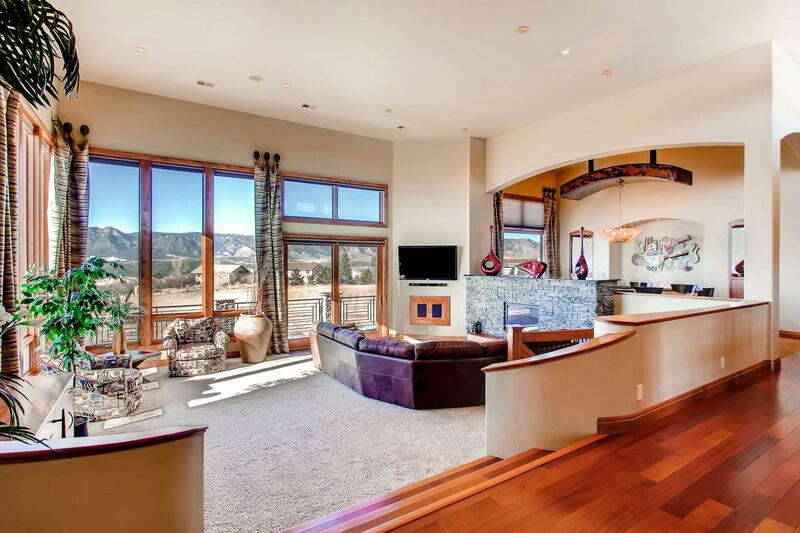 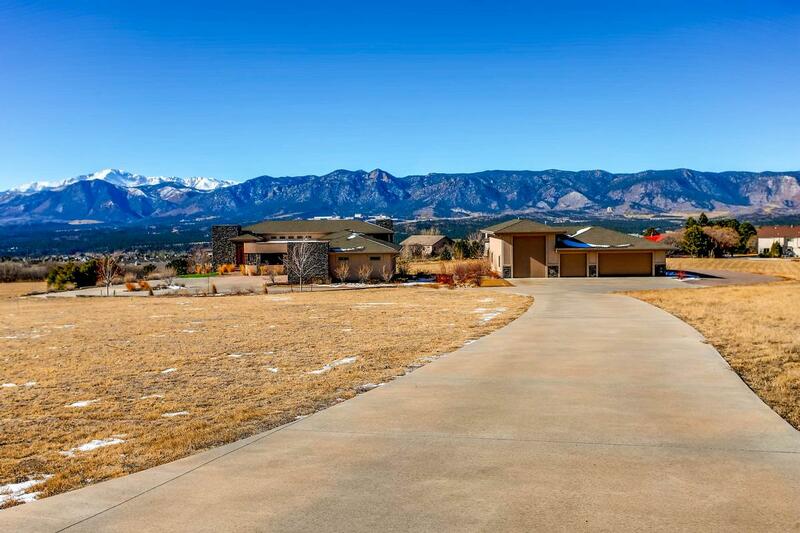 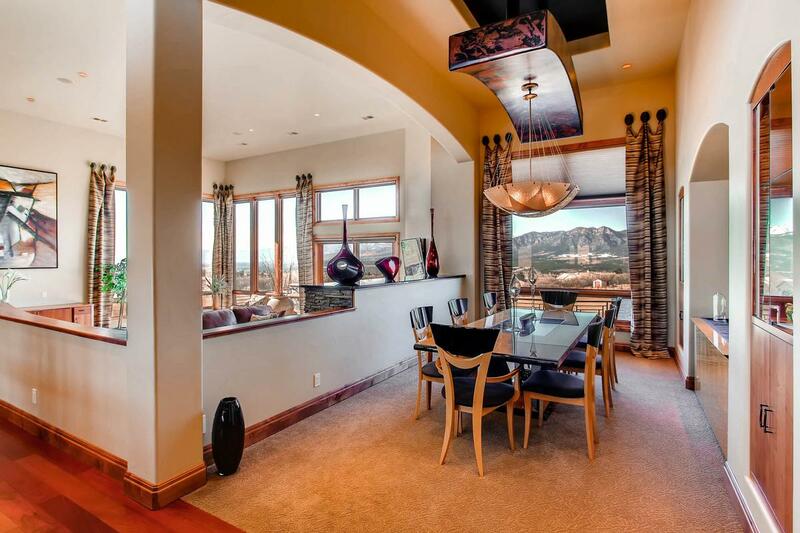 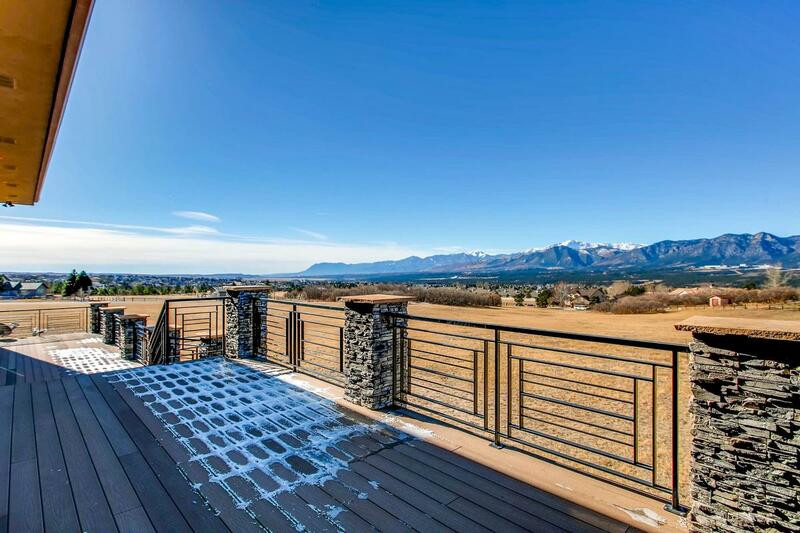 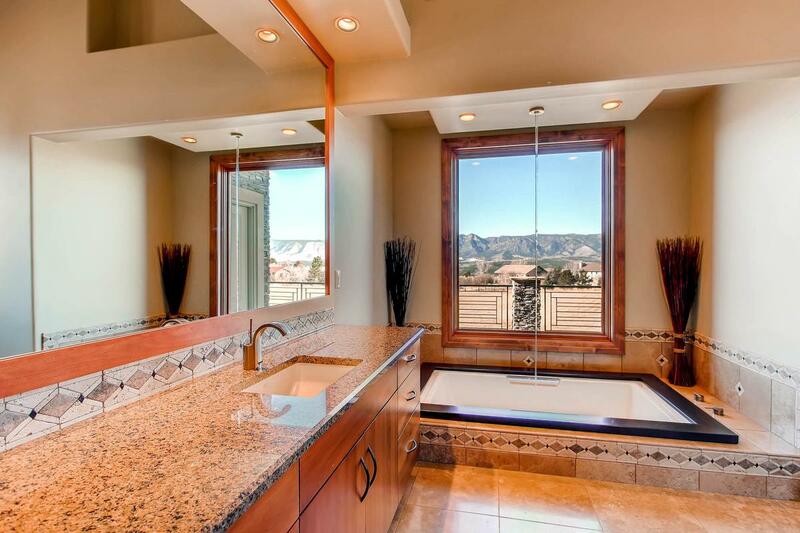 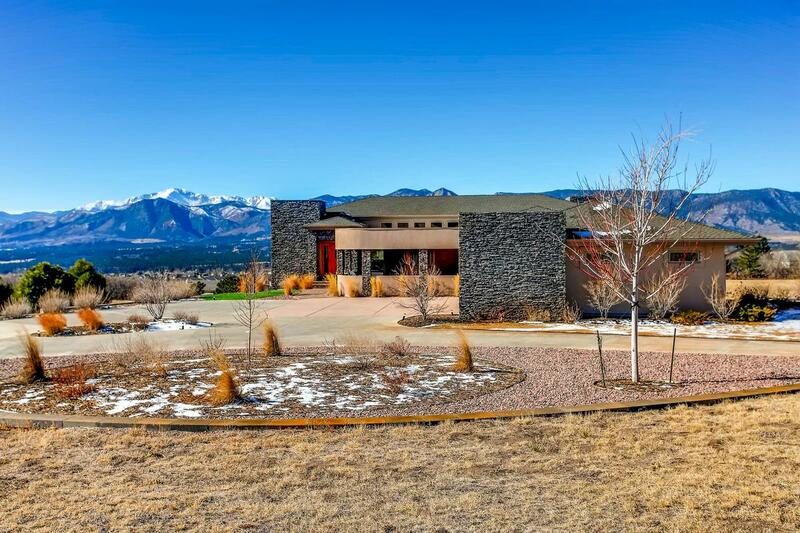 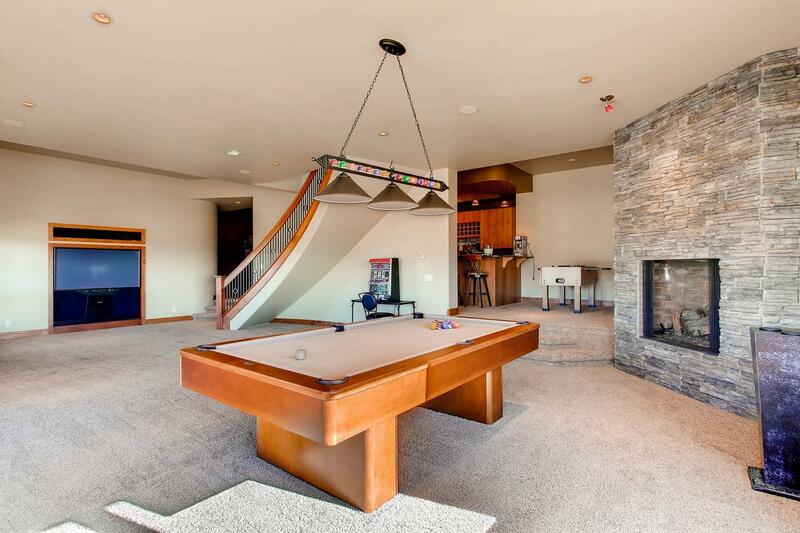 Stunning great room with gorgeous stone fireplace overlooking Pikes Peak, Air Force Academy and entire front range. 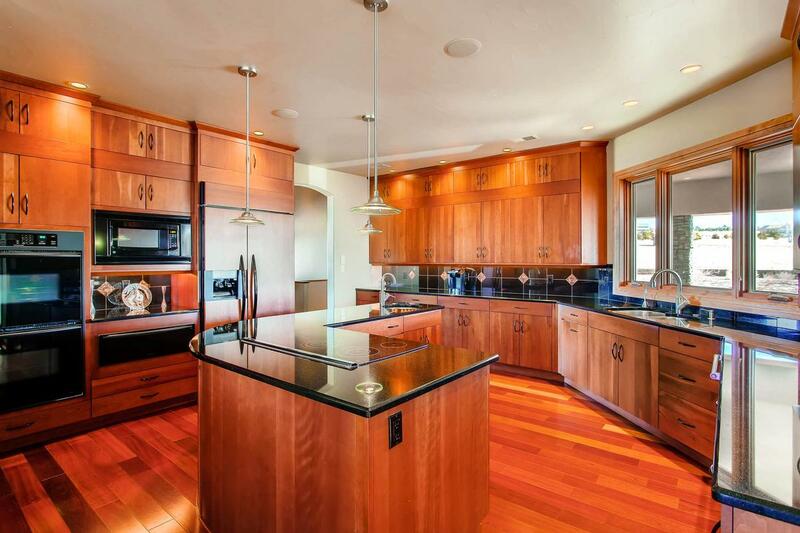 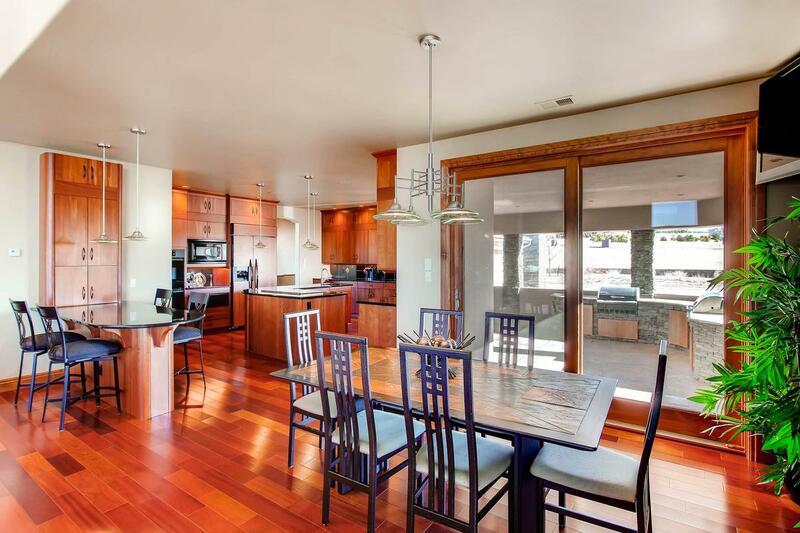 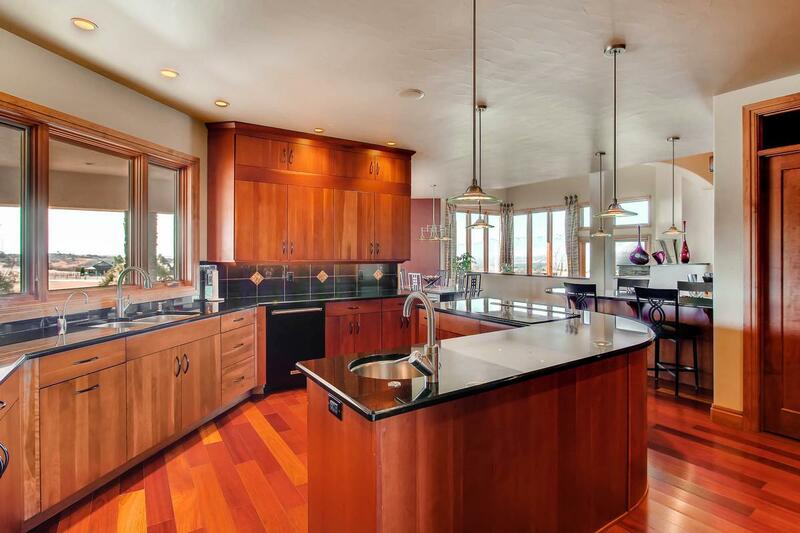 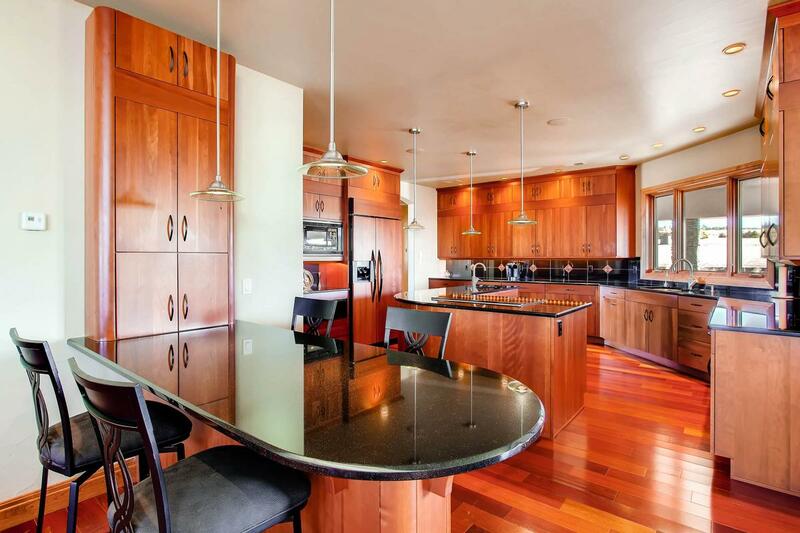 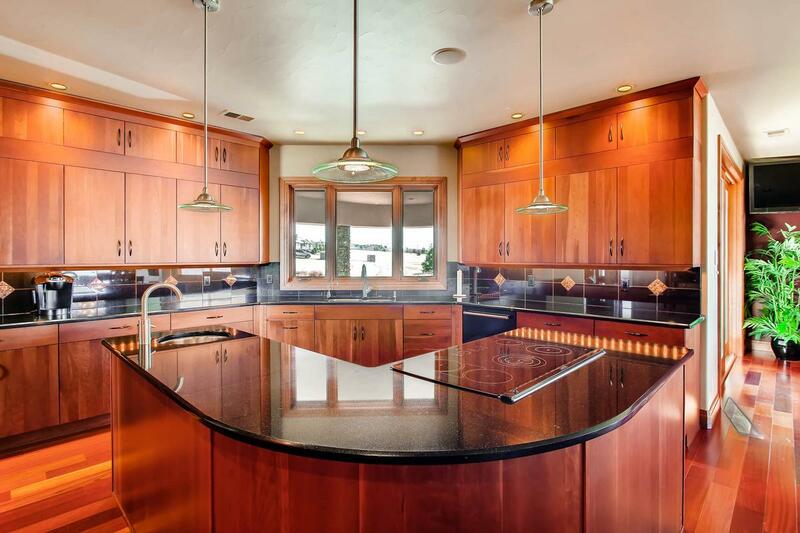 Designer cabinetry and stunning kitchen design make for the perfect place to entertain. 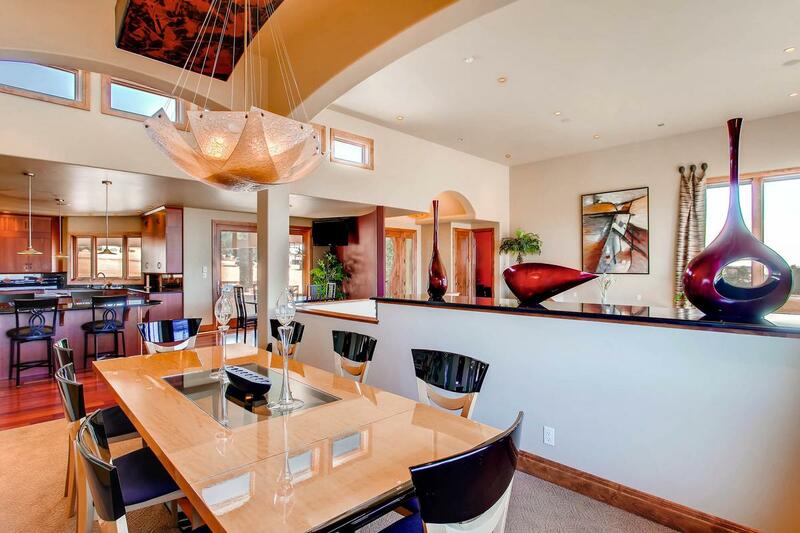 Dining room has focal floating ceiling with dramatic lighting. 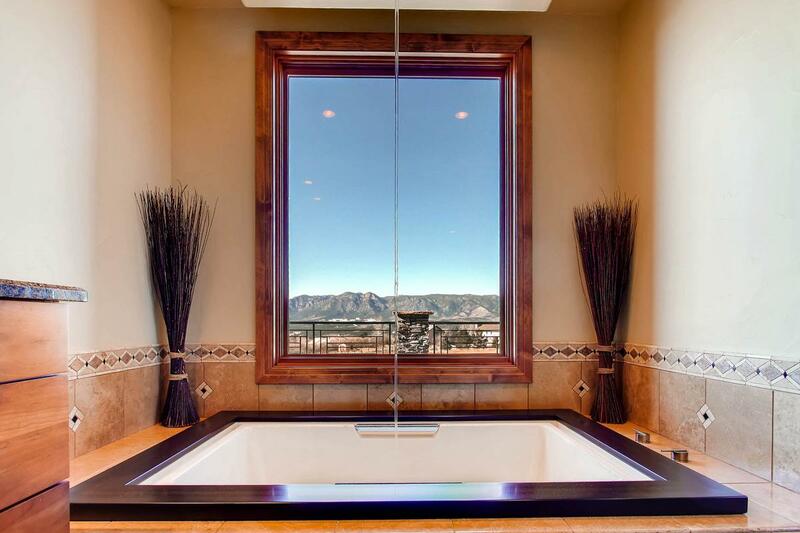 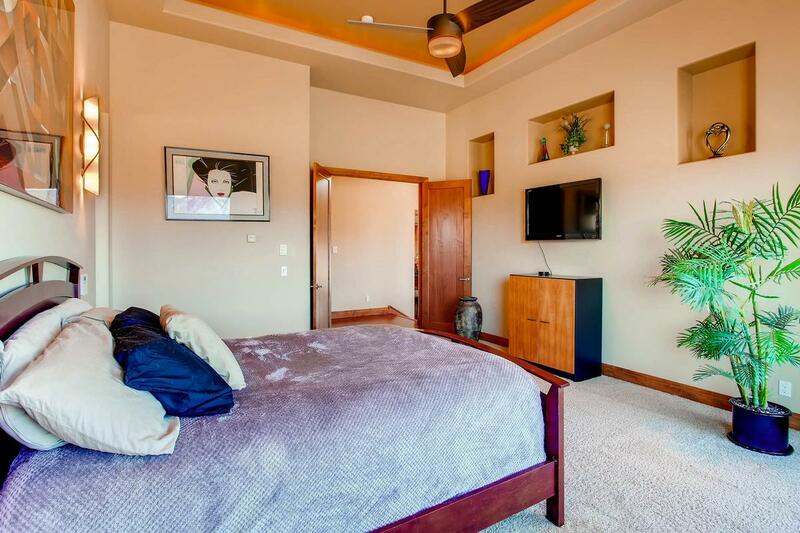 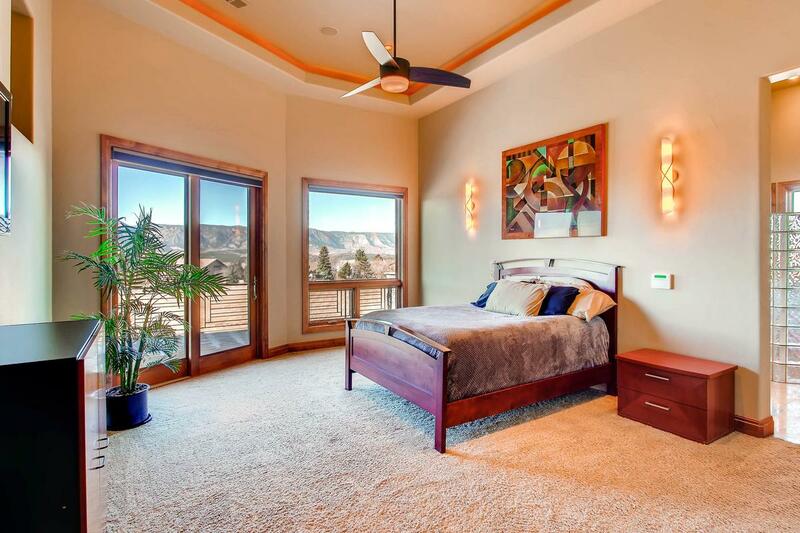 Master suite is a dream walking out to expansive decking with huge views, luxurious bath with tub that fills from the ceiling, true custom finishes. 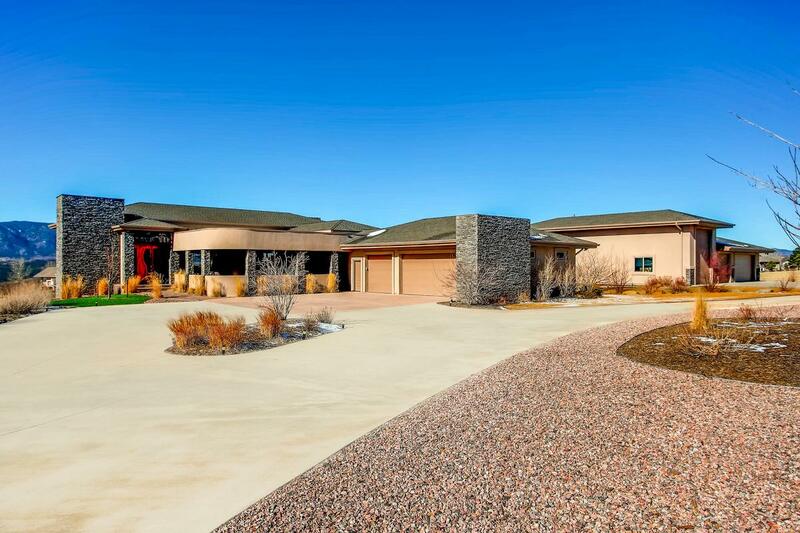 2,500 square foot RV garage plus oversized three-car garage. 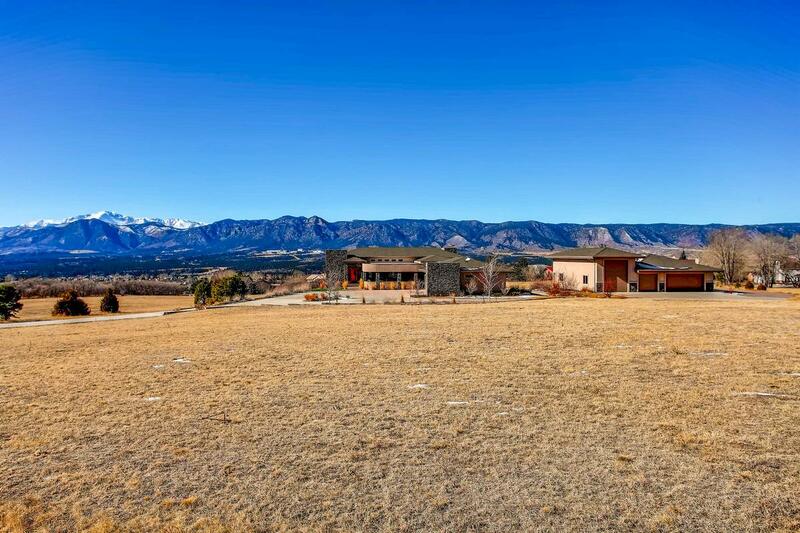 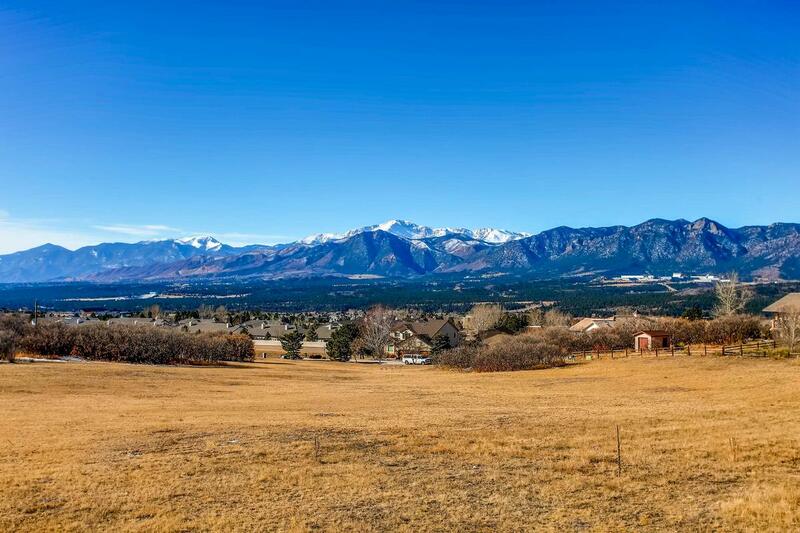 Five acres, zoned for horses, extremely convenient to Denver and Springs makes the location very desirable. 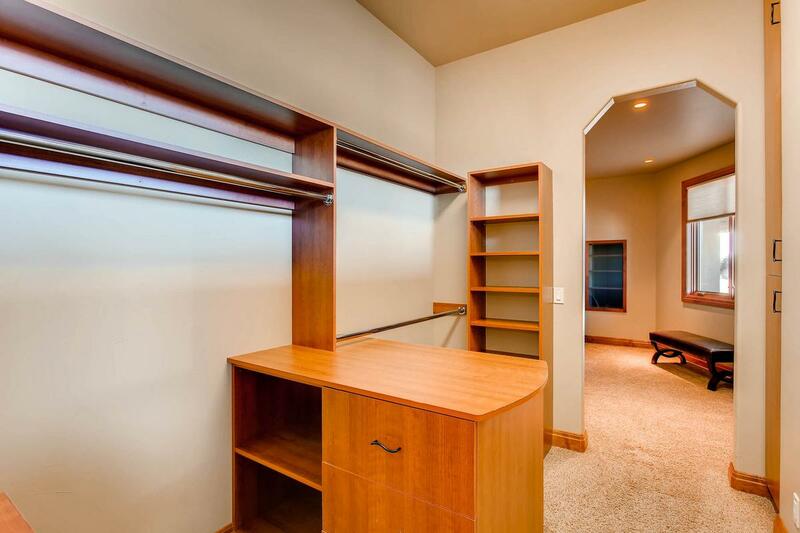 Main level office is a plus with built in work stations and dramatically high ceilings. 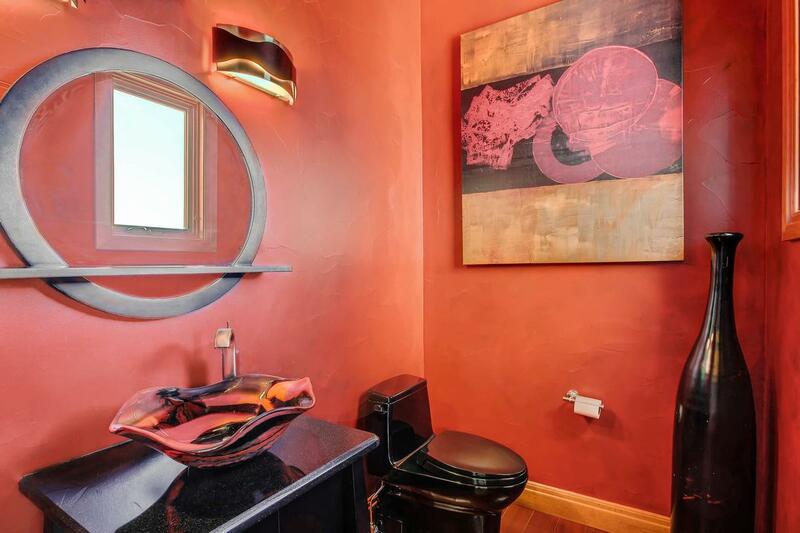 Powder room is handcrafted with modern appeal. 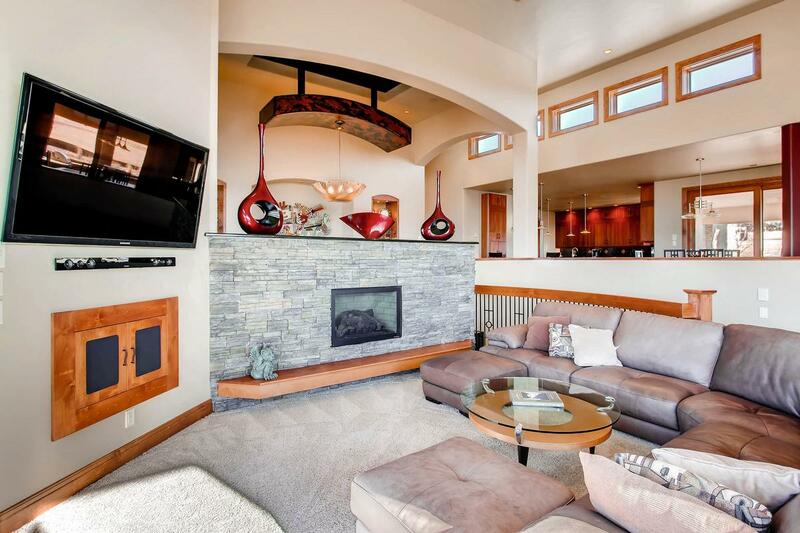 Curved staircase to walk-out lower level showcases the over-sized family room with gas fireplace, full wall of windows to take in the views. 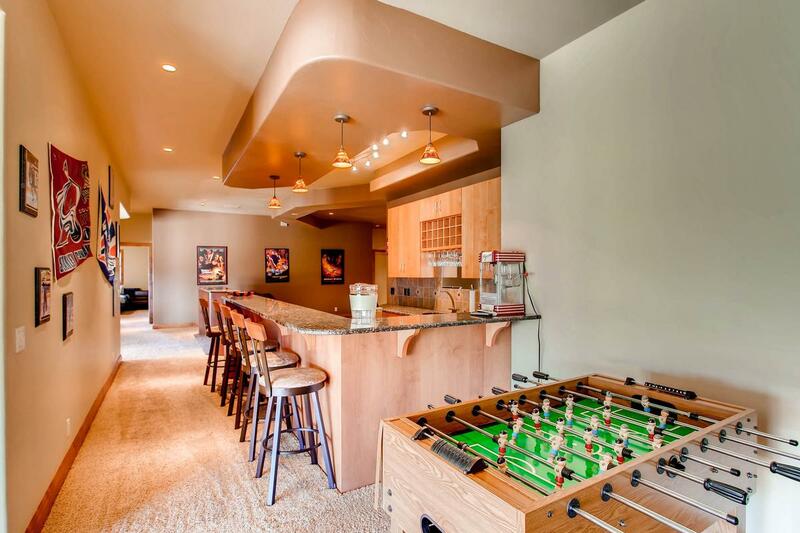 Stunning media space with full wall built-ins adjacent to the creatively designed step-behind wet bar perfect for those Sunday games. 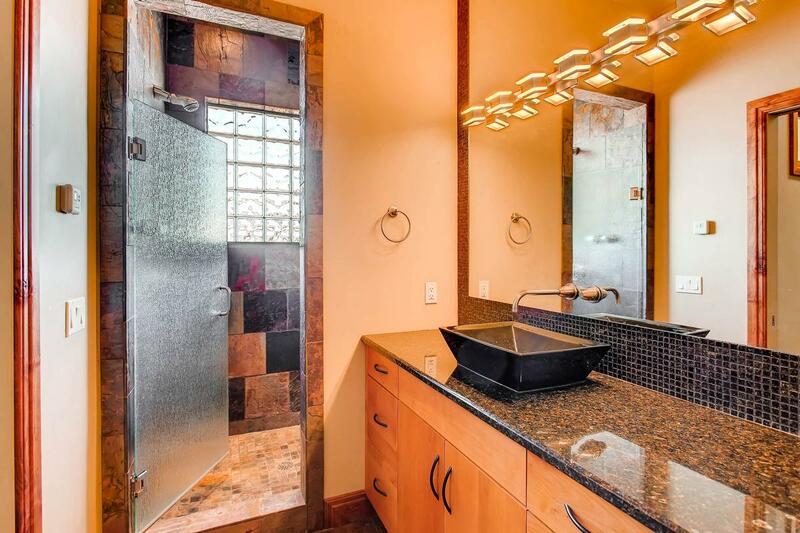 Three additional bedrooms are a plus, one with dedicated bath and large walk-in closet, the other two have a very functional Jack and Jill bath. 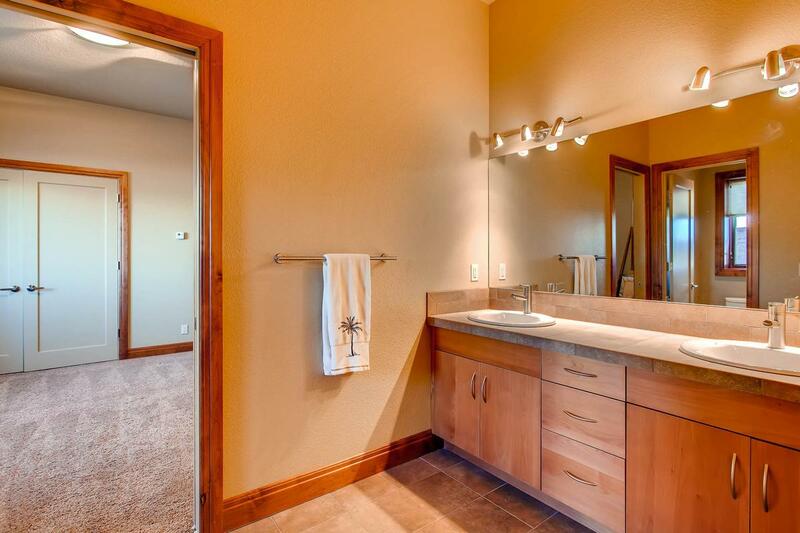 Washer/Dryer rough-in. 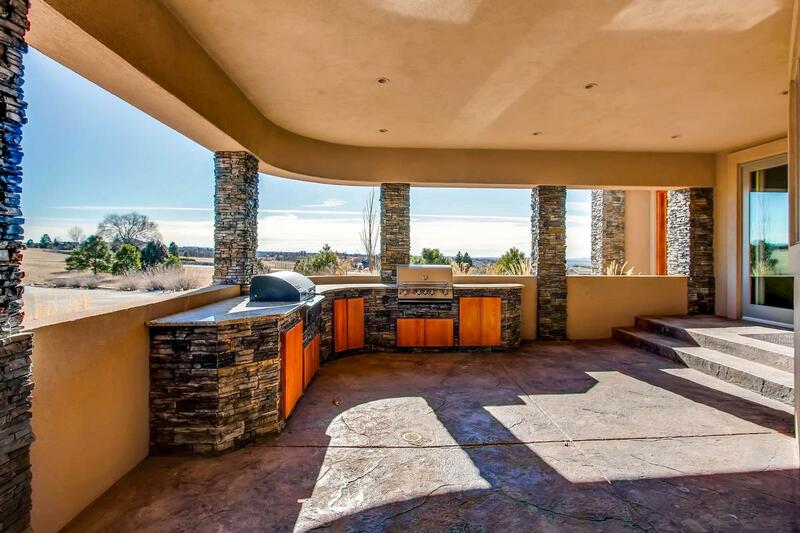 Entertain outside on the covered patio, complete with built-in BBQ Grill and Smoker. 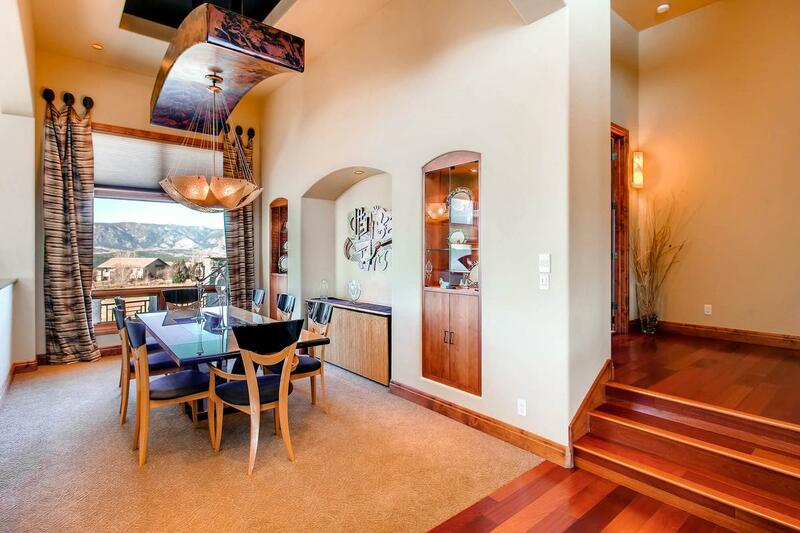 12-foot ceilings on the main, 10-foot ceilings in the lower. 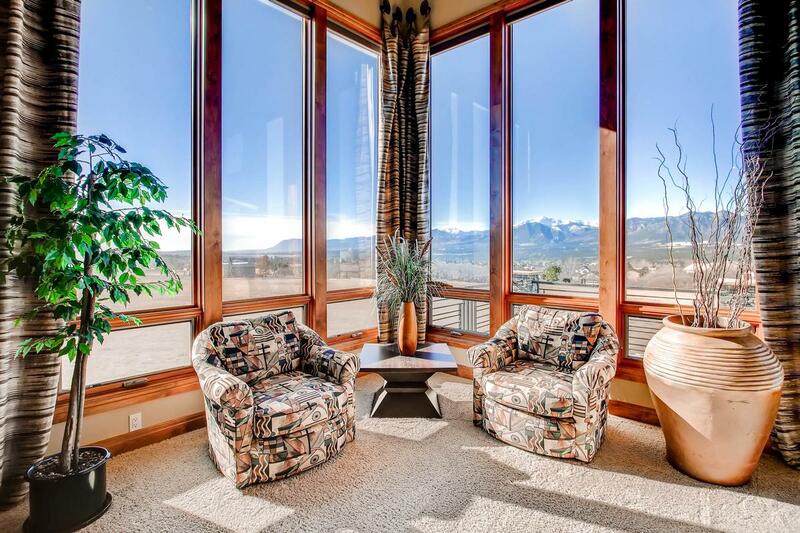 Two air conditioning nits, motorized window coverings on the main level for your comfort. 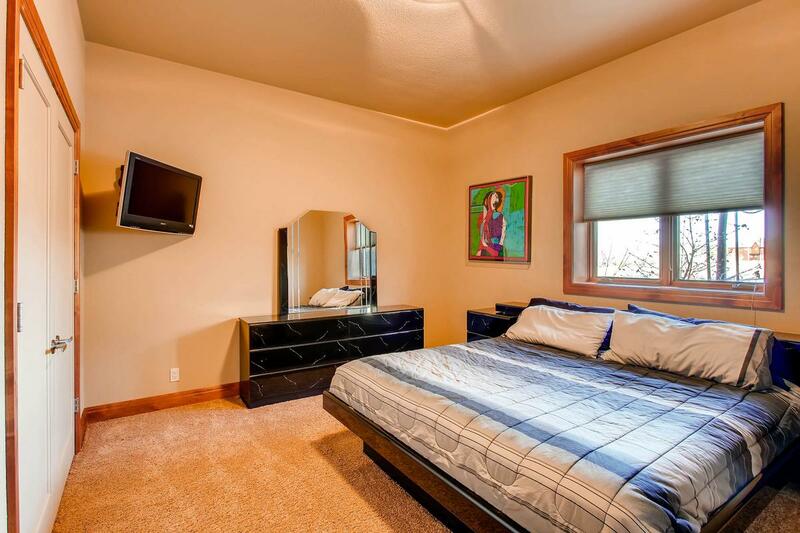 Located in the heart of D-20 schools, this home is sited to please the pickiest of buyers. 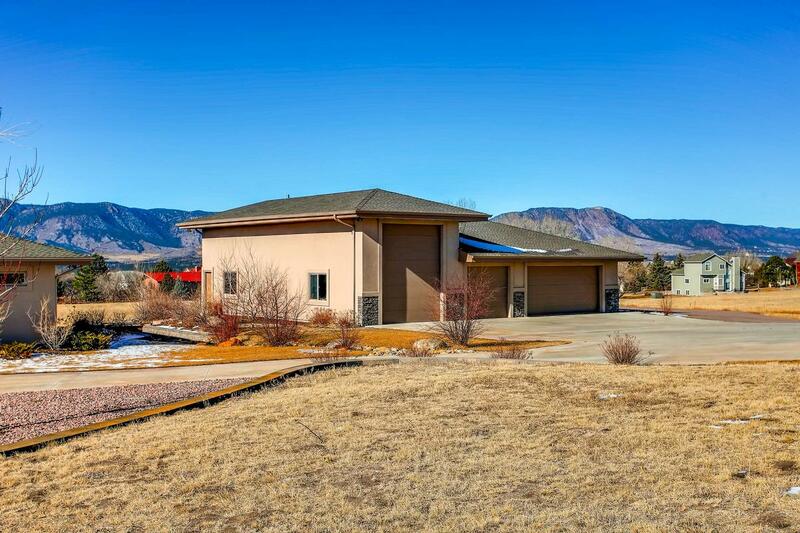 Outbuilding includes multiple Garage doors for quick access, will fit five additional cars or four with RV, heated bathroom, built in cabinets with large metal counter-tops and so much more. 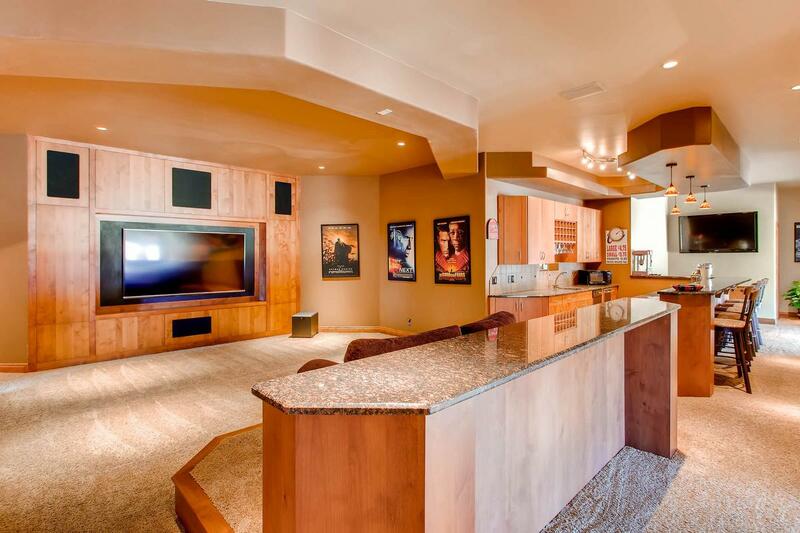 Too many custom features to list them all! 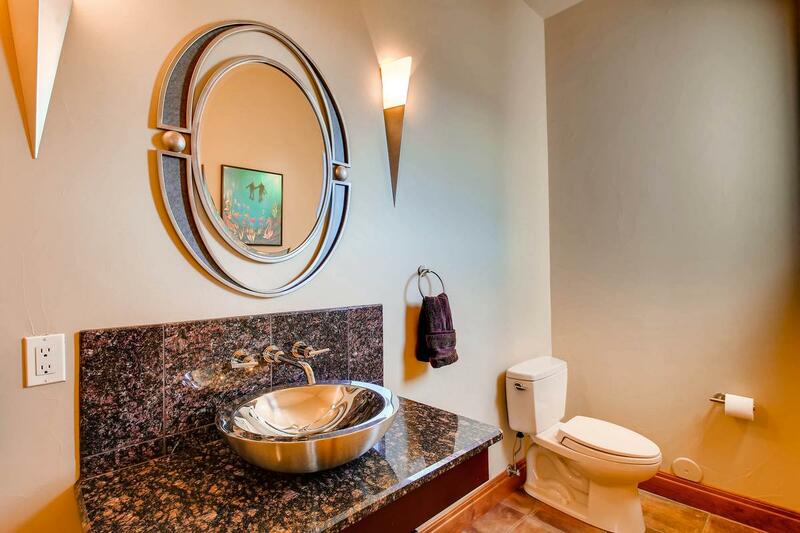 HURRY and look today, you will be glad you did!